Are you in the market for a mobile home? Mobile houses are rising in popularity since people are starting to realize that mobile houses are a great way to get more for their money. Mobile houses come in many different sizes and floor plans– they are not all the same anymore. One of the main benefits of mobile houses is there affordability. If you are on a budget, buying a mobile home will really make your money go further. Mobile homes are 10-35% cheaper per square foot than standard homes. With the money you save on the actual home, you can afford to add a few things that you want to your mobile home to really make it special. For instance, you can add a nice wrap-around porch or a garage. You can also upgrade the interior by adding a fireplace, a jetted bathtub, or a kitchen island. You can also even upgrade the flooring, countertops, and cabinets with all the money you save on the price of the home. The great thing about mobile houses is that they are very versatile and almost anything can be added as long as your budget allows it. Another great bonus you get with mobile houses is that they can be remodeled. If your budget only allows you to start with the basic interior features, you can upgrade as funds allow. Or, if your style changes or trends change, you can completely change the interior of the home to suit your style. 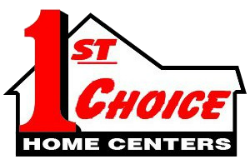 If you are interested in mobile houses, visit us at 1st Choice Home Centers today. We have mobile houses for every budget, and we can help you with every step of the process of selecting the perfect mobile home for your needs. No matter what your budget is, we guarantee we can help you find a beautiful new home!